With a few days’ intense rainfall, Oxford’s rivers transform from docile, predictable accessories to punting and a good picnic, into an expansive and invasive liquid landscape of steel grey, reflecting the heavy sky overhead. While each summer the Arctic transforms from a continent of ice into an increasingly loose archipelago of floating islands, before reforming anew with the onset of winter. 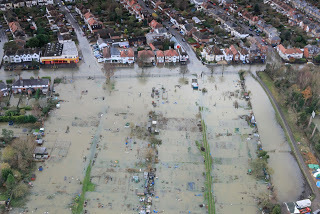 Two conditions, two transitional landscapes, and within this constant seasonal flux, people live, work, thrive and survive in tune with the changing conditions and resources; and yet the full architectural possibilities and implications are an uncharted territory. Through an exploration of the inter-seasonal specificity of place we will seek to develop radical architectural responses: first to the grain and flux of the city within its transitional landscape, through observation, calibration and an intimate spatial intervention before embarking on a larger communal interchange between the city and landscape. The process will be as important as the product, the route as important as the destination; and we will start with a journey. This year our sites are the transitional landscapes of Finland (Land of a Thousand Lakes) and Oxfordshire. The first at St Georges weir, Oxford on the castle stream of the Cherwell: witness to continuous use and change, the stream was re-directed with the construction of the castle to form a moat, and is now a critical location for controlling river levels. 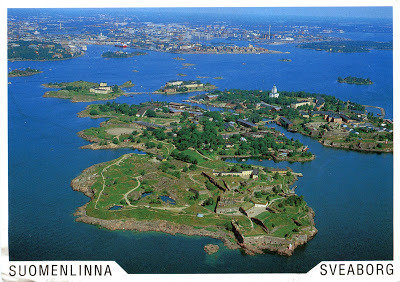 The second is Suomenlinna island: part-natural and part-constructed landscape just offshore from downtown Helsinki. A fragment of the ragged fixed edge interlocked with the seasonal landscape of ice and ocean and intertwined with the historic development of the city, housing a naval base and academy, ship-building basins, sail-makers. The island is linked to the city by ferry in the summer and an ice-bridge in the winter. Autiotupa: Finnish for “bothy”, the Autiotupa group project will grow from the compoSite section to propose an autonomous site-specific seasonal space for production, observation and dwelling at Georges weir, Oxford. Each group will complete a 1:10 articulated model of the final proposal. Ice Station: An autonomous complex for manufacture/exploration/production/inhabitation on Suomenlinna, Helsinki, Finland: Port, Dock, Factory, Laboratory, Observatory, Farm; responding to the transitional landscape and resources. Leaving Oxford in January wk-1 equipped with our “Instruments” we will seek the northern lights of Finland to explore the winter condition of Helsinki and Jyväskylä’s transitional landscapes and site for the Ice Station, while taking inspiration from Aalto and all. Curiosity and research will be critical to developing your Architectural agenda, with Pallasmaa’s “The Eyes of the Skin – Architecture and the senses” and Laaksonen’s “Alvar Aalto: The Mark of the Hand” our touchstone texts to inform the debate. Students will develop their own personal briefs, drawn from experience, knowledge, obsessions and skill; supported by several design/technology workshops addressing Experimental Construction and Making Drawings. The emphasis is to test and explore design ideas through physical model-making and hybrid digital/hand drawings: tools of an iterative design process, not just end products; so we encourage a broad church of drawing/making, seeking the most effective/communicative tools for the job. Intensive drawing, modelling and experiments will take us to the heart of an architecture linking purpose and place.